Rowing boats shape is narrow and long, the shape and weight optimized from strong materials – carbon fiber, the boats are similar to an arrow that is long and narrow. The rower is Situated in a portable chair track, his legs fixed at the bottom and push to the back, the rower uses a pair of oars length twelve feet, that are called axe oars. pulling the oars mass agenst the water generate mass power that starter the boat to a quick boost, balance, direction and speed are Necessary. the professional technique integrates the force that pushes the mass of the boat forward. Rowing is coordinated with all the muscles of the body for one purpose, the pursuit of physical fitness that contributes to the development of superior and flexible strong muscles, rowing activities ongoing effort gives the body wonderful ability, endurance and cardio Irovit and also contributes to the building of a competitive and sportive person with a strong mental spirit. Rowing activity requires learning professional techniques that gives balance and complete control of the body and the boat at once. Rowing is considered as one of the most challenging sports, the rower athlete operates like an oiled machine that integrates all of these elements. Rowing developed at universities and colleges, hence the name “academic rowing.” the rowing boat Single are: “Skif” or double to 2 – and 4 quartet and octet for eight oarsmen rowing activity is conducted both individually, and as an integral team oriented. 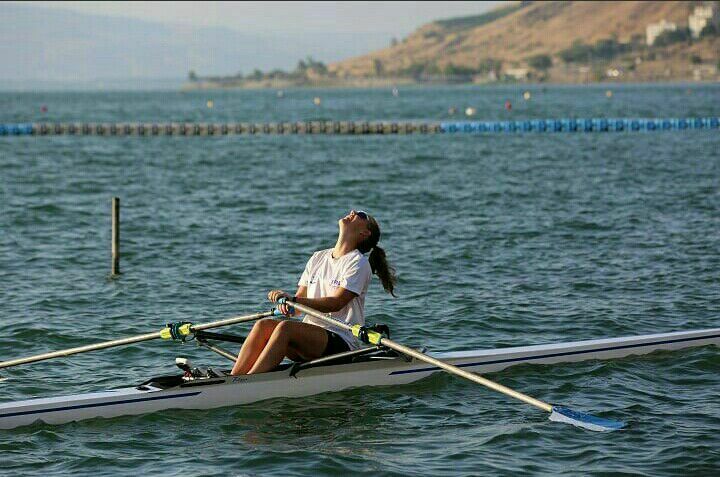 Lake Kinneret is an ideal place for rowing, the lake is a freshwater lake about 202 meters below sea level, surrounded by mountains which goes from north to south. the winds are uniquely challenging and interesting. Sea of ​​Galilee is a known for his historical and religious heritage, . the unique topographical conditions makes a unique winds and changing weather all year round. 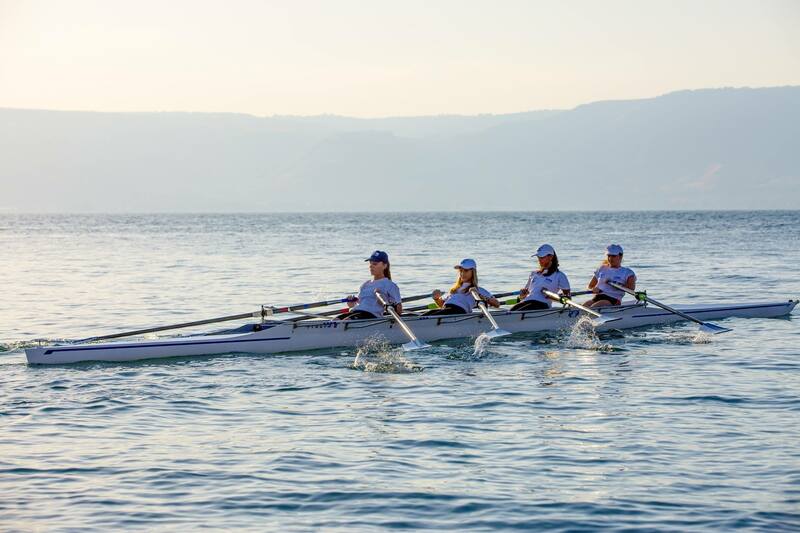 the Sea of ​​Galilee is the ideal place for the pursuit of rowing activities, the training activity steeling and harden the mental Strength of the professional athlete. the activity combines focus and deep thinking, with the assistance of advanced technique that operates the head and body. 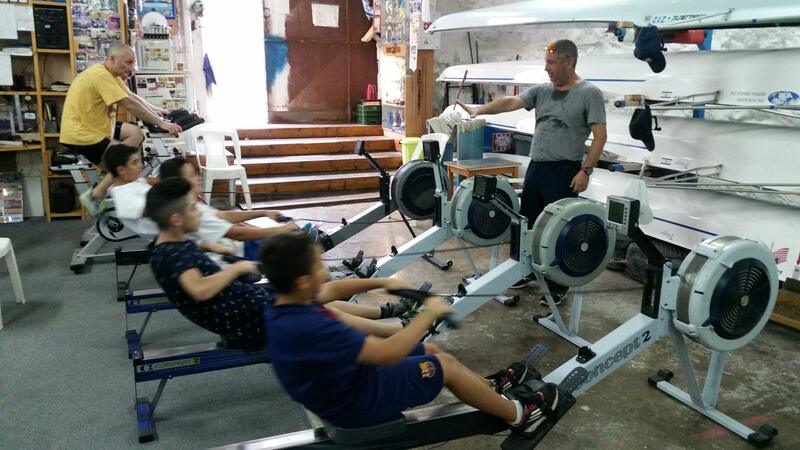 In recent years, alongside the academic rowing sport, we see a device that simulates the rowing activity and is taken place on land, the sport is based on a technique that simulates the water and is called “Imagine rowing” – “Concept” is the name of producer of this machine. Training and activities performed perfectly simulates the academic rowing and operate on land instead on water. the concept allows the athlete to calculate the speed, measure distance, time and speed of movement depending on the selected track, the concept is considered one of the most difficult and challenging gym activity, the Exercise performed on the boat is similar on the water, the Concept device is a Successful replacement for all of the requirements in the effort and endurance that requires from a sportsman. the concept is considered to be s a Competitive sport and is held as a separate contest, similar to competitions conducted in rowing.